The On Our Land project held its first training session for young people in Palestine in late November. 19 young men and women have begun to learn oral history techniques that will enable them to identify and preserve the lived cultural heritage of their communities, and ensure that this valuable knowledge is passed on between generations. Mahmoud Soliman, member of the project’s advisory council, explained the impact of the project “Our Bedouin communities have a fascinating and beautiful heritage, but this is at risk of slipping away under the pressure of conflict. It gives me hope to see these young people working to preserve this and make sure future generations will benefit from this knowledge”. The participants live in Area C, the most marginalized area of the Palestinian West Bank, where Israel has full military and civilian control and the expansion of Jewish-only settlements, illegal under international law, is leaving the Palestinian inhabitants without access to their land. The situation is particularly difficult for Bedouin communities, who are amongst the most marginalized in Palestinian society. 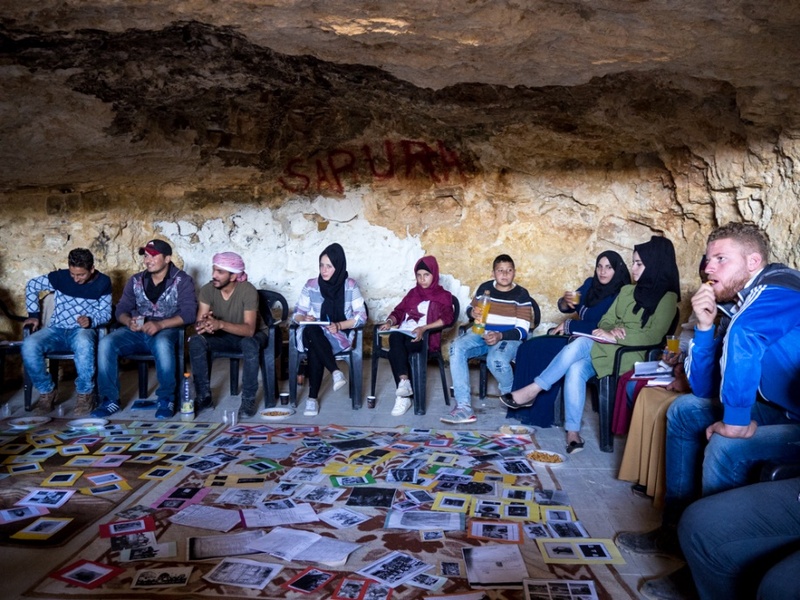 The young men and women from two predominantly Bedouin communities in the North Jordan Valley and South Hebron Hills came together for a two-day introductory workshop to learn how to use oral history techniques to preserve the rich lived cultural heritage of their communities. Workshop participants practiced using objects, pictures and documents as prompts to promote the sharing of oral histories, and role-played story telling techniques designed to help them reflect on the role that cultural heritage has played in their lives, and the lives of older generations. 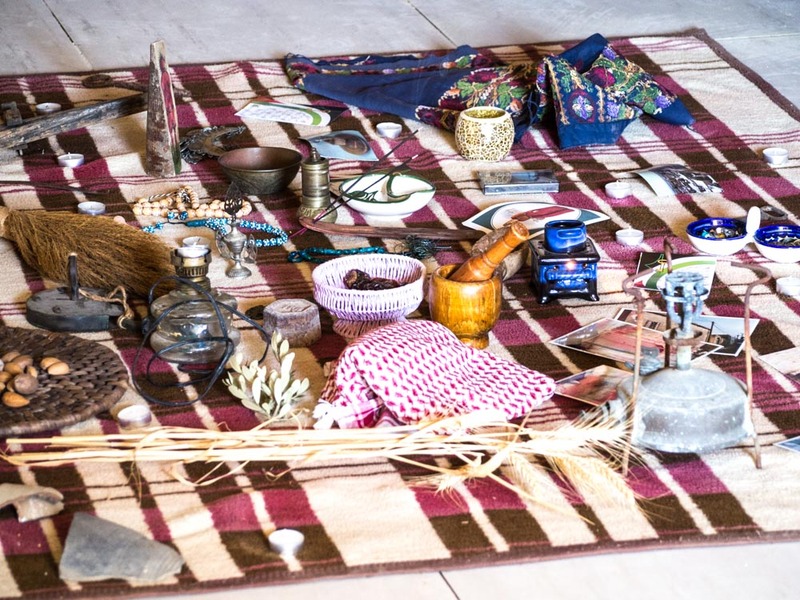 They started to identify particular elements of Bedouin culture that they felt was at risk from conflict and the displacement of their communities, including traditional textiles and fashions, farming practices and customary games. As one young participant noted after the first session “I feel responsible to look after our cultural heritage and transfer it to the younger generations”. The youth researchers will take part in a number of collaborative workshops over the coming weeks, led by Palestinian oral history trainer Mahasen Rabus. These sessions, which will introduce them to the fundamentals of oral history research, will enable them to take the lead in recording cultural heritage practices in their own communities, eventually identifying particular elements of their heritage to support via a small grants programme. CTPSR project associate Laura Sulin explained after the first workshop “it’s been inspiring to see young people’s passion about the subject, and how quickly these young men and women have engaged with the challenge of identifying and protecting their cultural heritage”.